I love how you've caught the bird, the wings look great. I just wish you'd been able to get closer. Sounds like you had a fun day -- which is half the battle, right? ;) Adorable shot -- love his drenched head. I'm glad you pointed out the dunk or I wouldn't have seen it. I like this shot -- it's very simple, yet has a focal point of action. 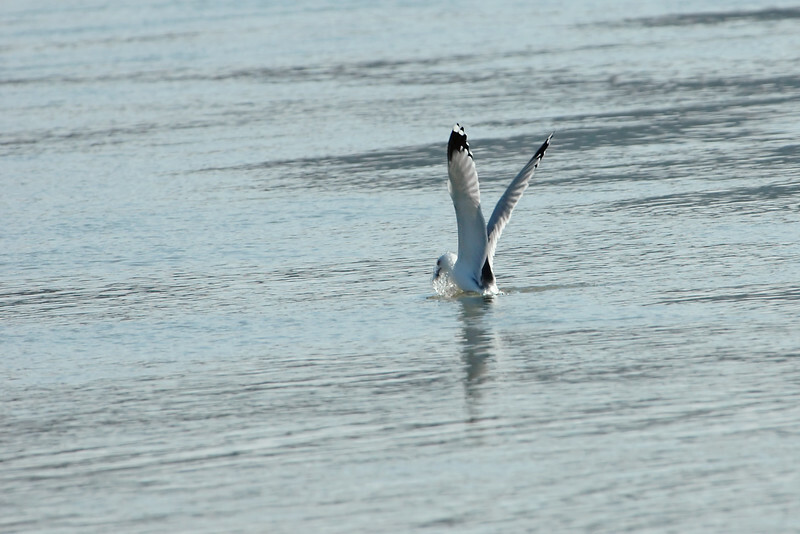 I love watching birds dive...rather a different activity than flying!!! Neat shot..Keep having fun! The gull head dunk:-) Aren't they just a riot!